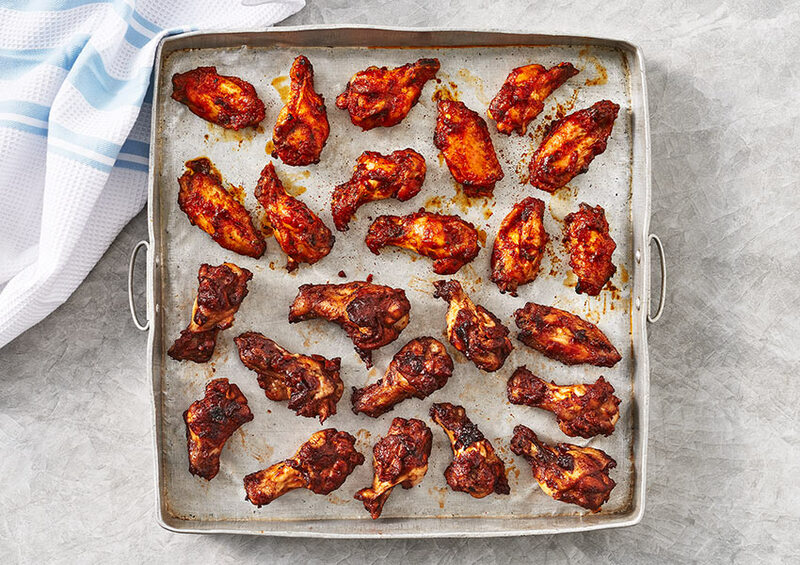 Spice up your party with this mix of fiery firecracker and beer & bourbon wings. Cooked chicken wings in a firecracker style marinade. Cooked British chicken wings in a beer bourbon barbecue style marinade. British Chicken Wing (89%), Firecracker Style Marinade (11%) (Dried Glucose Syrup, Sugar, Tomato Powder, Garlic Powder, Yeast Extract, Onion Powder, Dried Carrot, Sunflower Oil, Colour:Paprika Extract;, Coriander, Chipotle Extract, Jalapeno Chillies, Chilli Powder, Chilli, Cumin, Black Pepper), Cornflour, Salt. British Chicken Wing (85%), Beer Bourbon Flavour Marinade (9%) (Demerara Sugar, Tomato Powder, Dried Glucose Syrup, Lemon Juice Powder, Onion Powder, Garlic Powder, Caramelised Sugar, Smoke Flavouring, Smoked Sea Salt, Chipotle Extract, Fermented Black Soya Beans (Soya), Paprika, Black Pepper, Maltodextrin, Salt), Bourbon, Gluten Free Ale (Water, Sorghum, Malted Barley, Sugar, Hops, Yeast), Spirit Vinegar, Cornflour, Salt, Maize Starch.